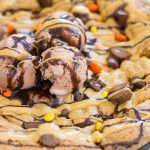 This Caramel Pretzel Peanut Butter Chocolate Chip Skillet Cookie has everything but the kitchen sink! 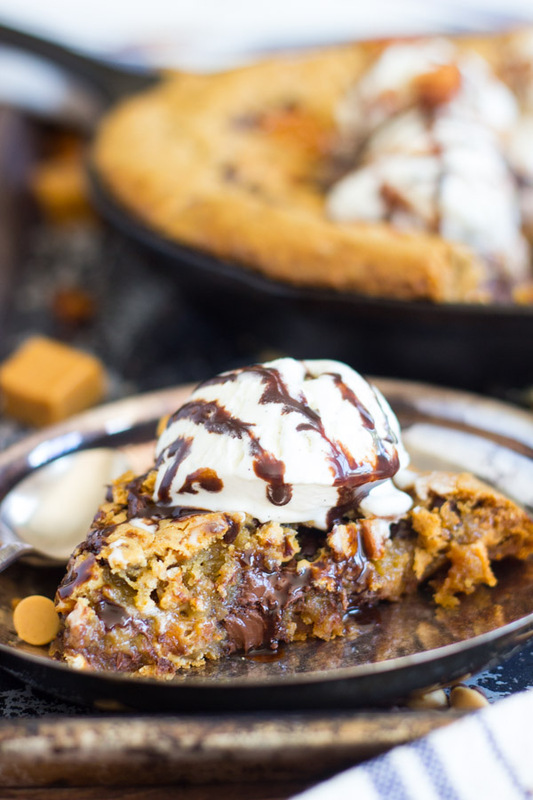 A buttery, brown sugar skillet cookie with semi-sweet chocolate chips, peanut butter chips, vanilla caramels, and crunchy, salty, crushed pretzels. There is so much ooey-gooey goodness in this cookie in every single bite! 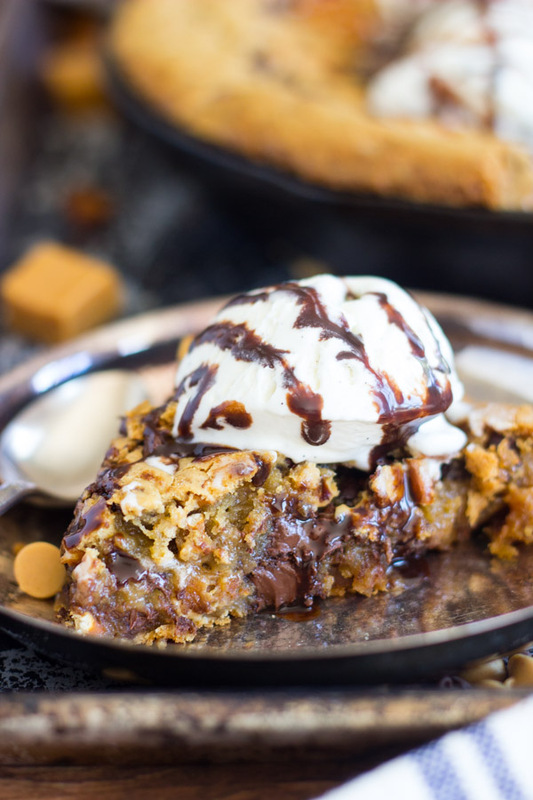 I will forever give skillet cookie recipes a special place in my heart. 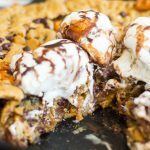 Once I found the ultimate, best, most perfect chocolate chip skillet cookie recipe, I became a dedicated skillet cookie fanatic. Once you have a reliable, tried-and-true, 100% trusted skillet cookie ‘base’, you can make it anything you want it to be. I’ve done that more than a few times. 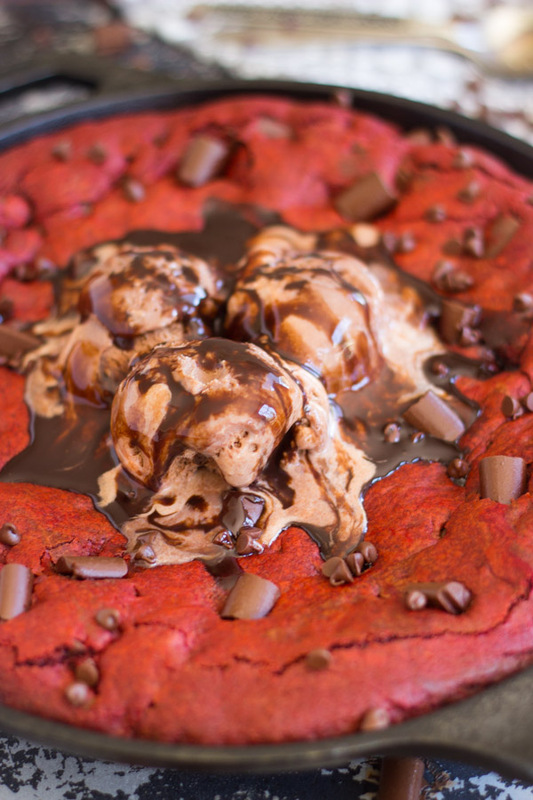 Around Valentine’s Day, I made this gorgeous and delectable Red Velvet Chocolate Chunk Skillet Cookie. 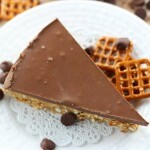 And I obviously had to make a version that incorporated Reese’s cups or peanut butter, or as it turned out, both. 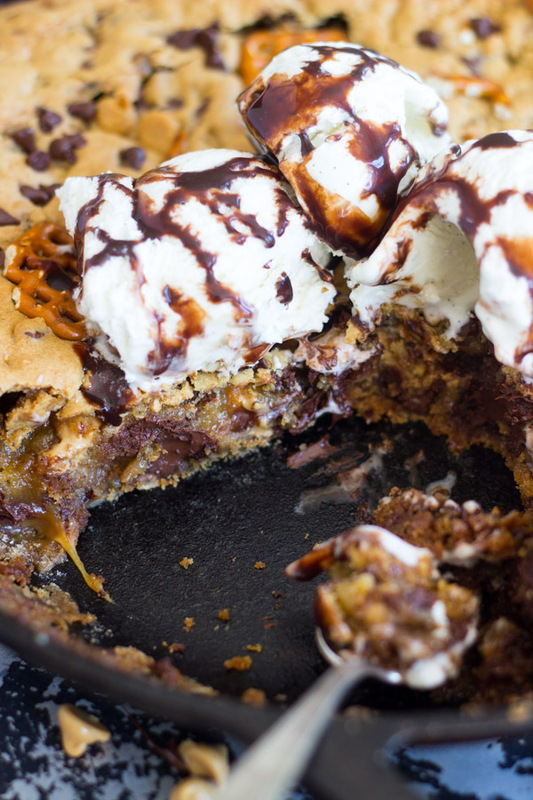 This Peanut Butter Chocolate Chip Skillet Cookie is insane. 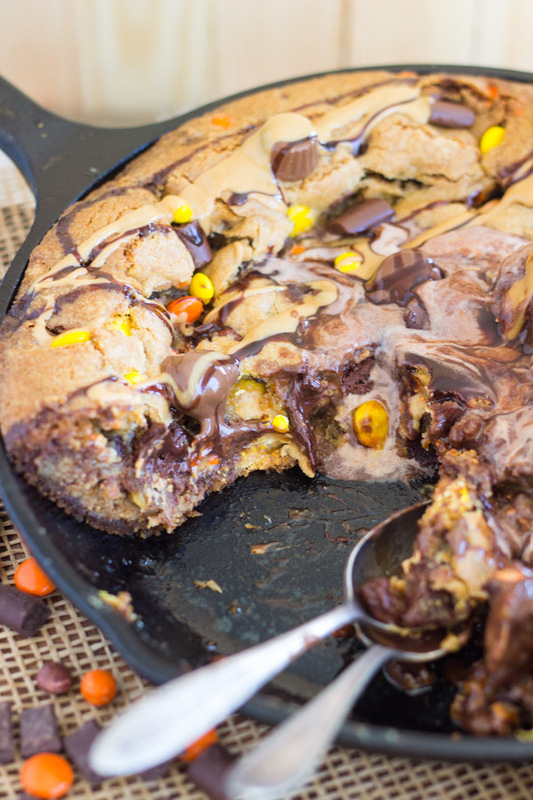 It includes Reese’s pieces, peanut butter chips, chocolate chips, and a layer of full-size Reese’s running through the middle. It’s just unreal, and I make it all. the. time. If we are having company, that’s my last minute go-to. I can have it prepped for the oven in 10 minutes or less. People love it. Why skillet cookies? A couple reasons. They prep in just a few minutes. Whip up the dough, press it into the skillet. There’s so little work. Traditional drop cookies are far more time-consuming. 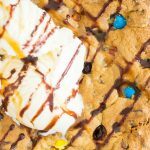 Better still, what you love about cookies the most – crunchy edges and soft, gooey centers – there’s that much more of those wonderful things in a skillet cookie. Especially the part about gooey, soft centers. This cookie has so much ‘center,’ and it’s allllllll melty and gooey. 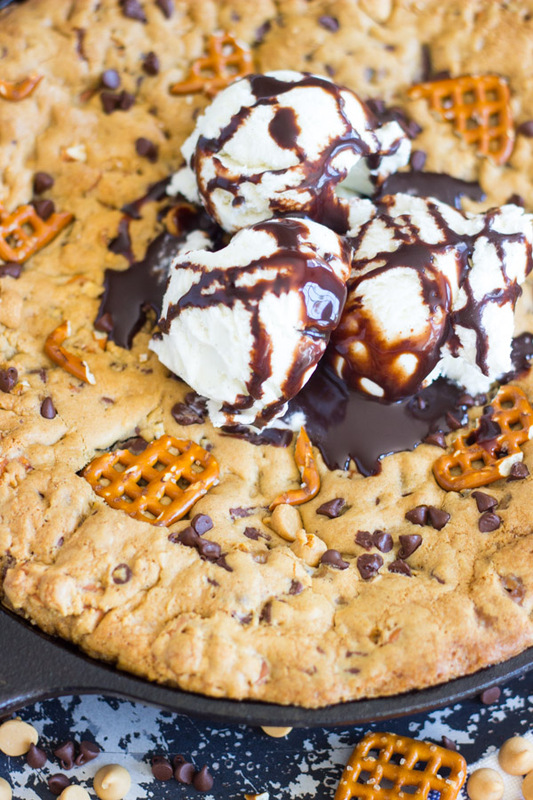 I wanted to create a skillet cookie recipe that boasts the awesome combo of sweet and salty, and so I made this Caramel Pretzel Peanut Butter Chocolate Chip Skillet Cookie. The pretzels add saltiness and crunch to a buttery, brown sugar skillet cookie that’s otherwise ultra-gooey from melted chocolate chips, peanut butter, and caramel. 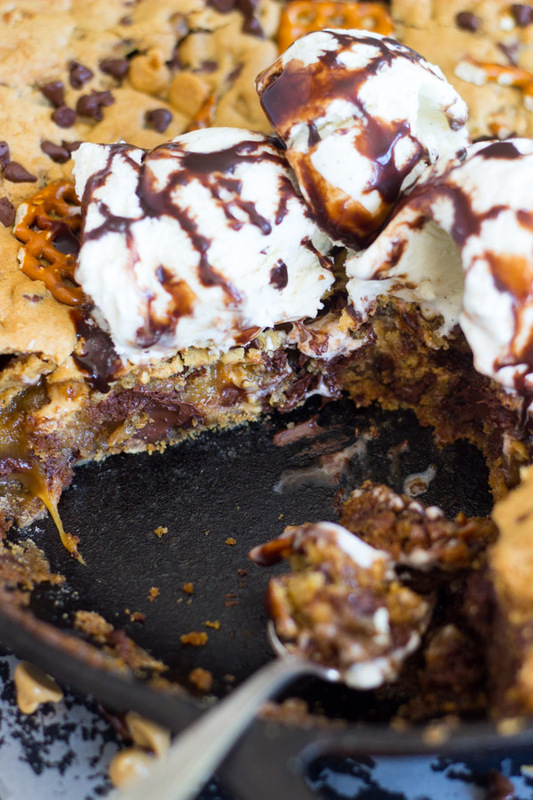 It’s got a little of everything, and it all melts together into a wonderfully ooey-gooey mess… a good mess. You can prep it in minutes, and it will blow your mind. 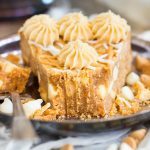 Serve it with a few scoops of ice cream, and it is heaven on earth! 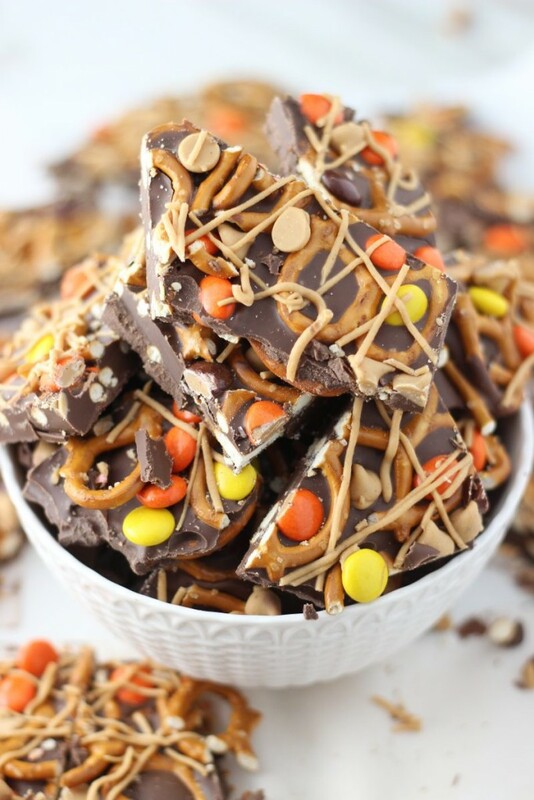 Fold in chocolate chunks, peanut butter chips, caramel bits, and pretzels. 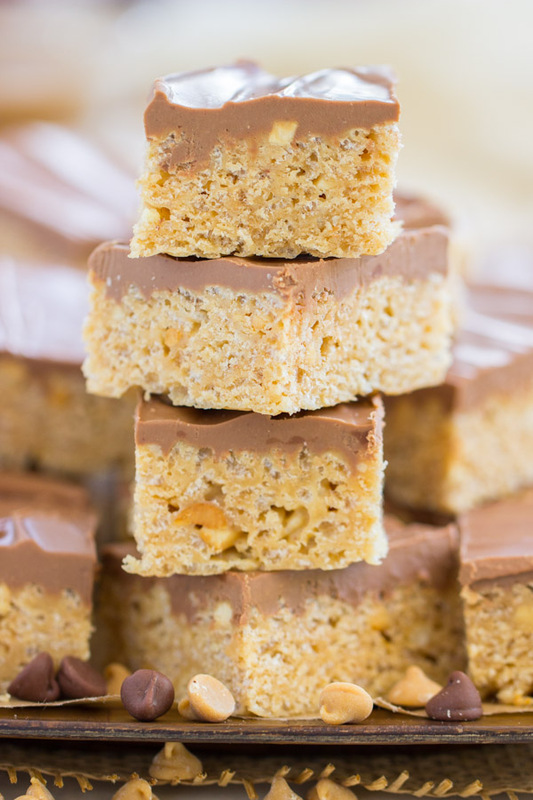 Drizzle with melted peanut butter. Spread remaining batter into the skillet. OH.MY.GOODNESS this looks incredible! 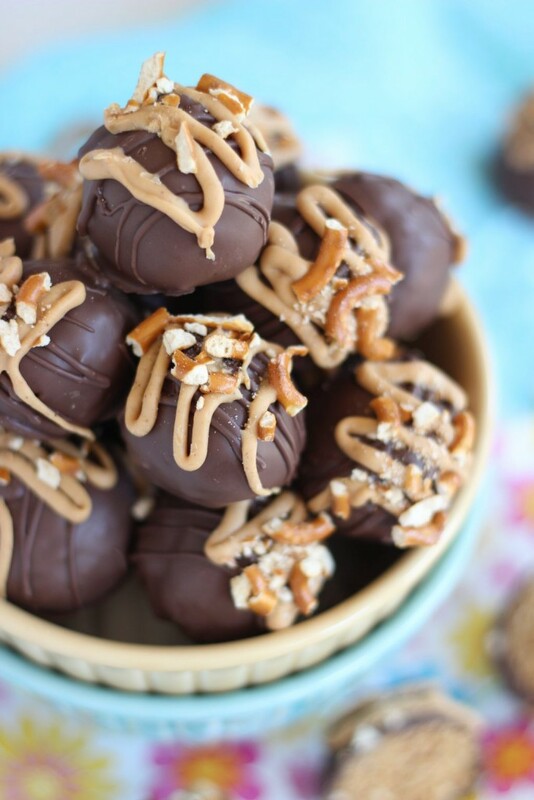 So decadent and so delicious! I love how quickly it comes together! 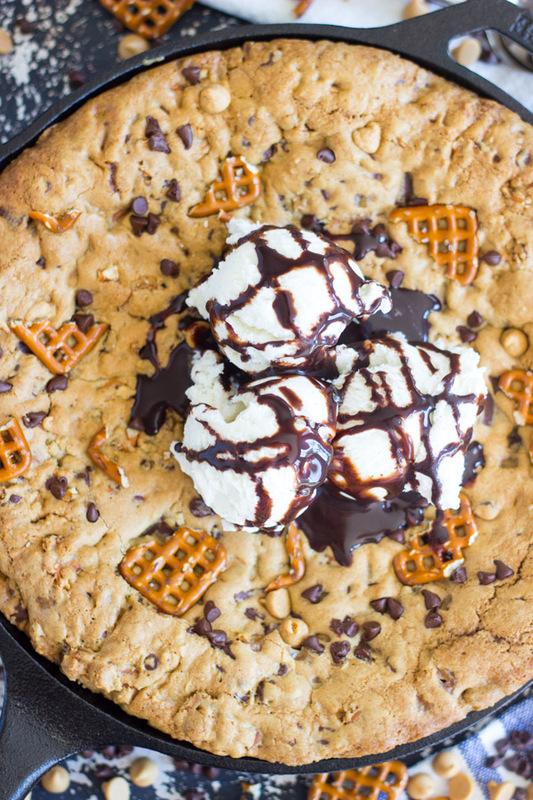 Skillet cookies are the BEST!! 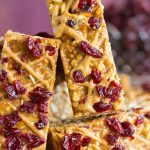 My go-to for company and quick desserts. They come together in no time! 🙂 Thank you, Melissa!